Modernizing 'Tip Of The Spear' - USA Patriotism! The European theater is an ever-changing landscape requiring constant adaptation to defend U.S. allies and deter potential aggression. To stay ready, U.S. Army Europe is focused on modernizing by exploring new technology, fielding upgraded equipment and adding additional capabilities. The fielding of next generation combat vehicles is one of the U.S. Army's six modernization priorities. In December 2017, the 2nd Cavalry Regiment received the U.S. Army's first Stryker Infantry Carrier Vehicle -- Dragoon. The upgraded vehicle was named after the Soldiers who serve in 2CR known as "Dragoons." The Stryker's two .50 caliber machine guns were replaced with an unmanned turret and remotely-operated 30 mm autocannon. The ICVD also featured a fully- integrated commander's station, upgraded suspension and larger tires. Additionally, 2nd Cavalry Regiment fielded the addition of Common Remotely Operated Weapons Station -- Javelin to their Strykers (known as an Infantry Carrier Vehicle -- Javelin). These modernizations mean Soldiers no longer have to leave their vehicle, which previously put them at risk to fire. Throughout 2018, U.S. Army Europe put the new Strykers to the test -- from winter live ammunition test fires in Germany, and a road march through Eastern Europe; to a summer exercise with 19 ally and partner nations, and a joint, combined arms live fire exercises in Poland. Vehicles aren't the only systems being upgraded in Europe. Another priority of Army modernization is our computer networks. 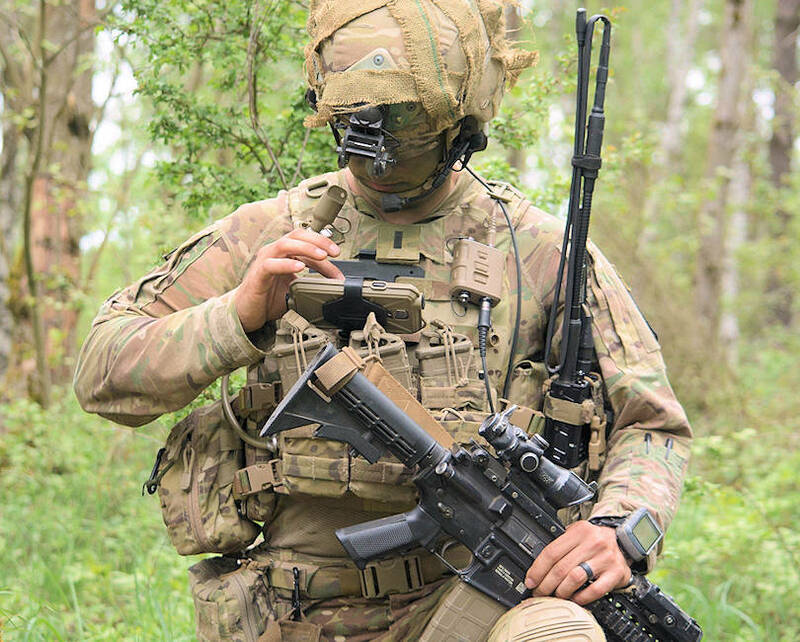 As the U.S. Army's only forward-deployed airborne brigade, the 173rd Airborne Brigade is uniquely positioned to test emerging electronic warfare and signal technology. In 2018, units from 173rd Airborne Brigade replaced radio communication with the Integrated Tactical Networks. ITN fuses an intuitive interface; a secure but unclassified network; and a portable mission command platform into one system. The platform allows leaders to track positions, send text messages, use voice communication and share pictures. The 1st Battalion, 503rd Infantry Regiment, received the new equipment two days prior to their combined-arms live-fire exercise. The ITN uses equipment Soldiers are already familiar with. This enabled them to get the radio telephone operators and platoon leaders familiar enough to use the system in time for the exercise. "When the platform is fully implemented, paratroopers will have an additional quality radio and access to the same common operating picture as their leadership," Capt. Michael Belina, the signals officer for 1st Battalion, 503rd Infantry Regiment. "The common Soldier will have a better idea of what's going on around him, and it will basically cut out some of the talk that is required to build that picture. It will be more immediate." The 173rd Airborne Brigade was also the first to receive new EW prototype systems. The new package of EW systems allows Soldiers to electronically protect their formations, detect enemy activity and electronically disrupt adversaries. In February 2018, the 173rd Infantry Brigade Combat Team (Airborne) EW and signal intelligence Soldiers became a Combat Electronic Warfare Intelligence platoon within its Military Intelligence Company. The CEWI teams participated in several exercises throughout the year and went on to field new systems including the Versatile Radio Observation & Direction; VROD Modular Adaptive Transmit; Sabre Fury; and Raven Claw. 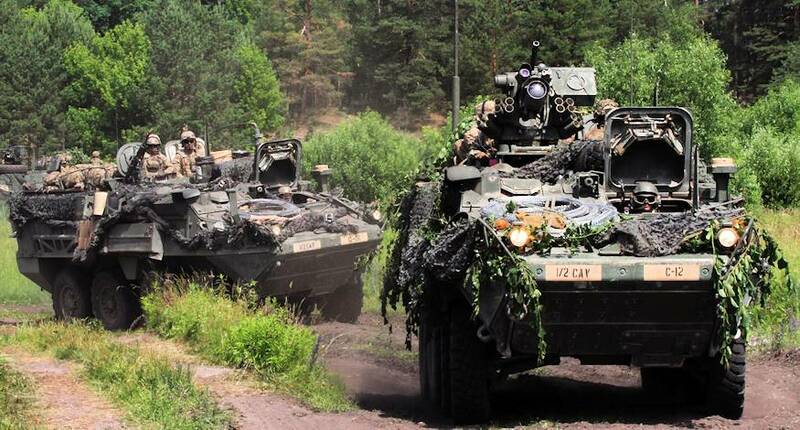 U.S. Army Europe's modernization efforts will be the focus of a "Warriors Corner" presentation at the 2018 Association of the United States Army annual meeting. Commanders will discuss these new initiatives Wednesday, Oct. 10, at 1:15 p.m. in the Army exhibit, booth 7727.